THE PARANOID DARK FANTASY CONTINUES! Rascal has escaped the city—and the clutches of the terrible Umbral shadow-creatures, disguised as humans! But danger also haunts the dark mist of the Bulaswode, and as betrayal prepares to stab her in the back, Rascal must choose whether to trust her friends...or an Umbral! Master worldbuilders ANTONY JOHNSTON (THE FUSE, Wasteland) and CHRISTOPHER MITTEN (Criminal Macabre, Wasteland) bring you a dark fantasy unlike anything you've seen before! 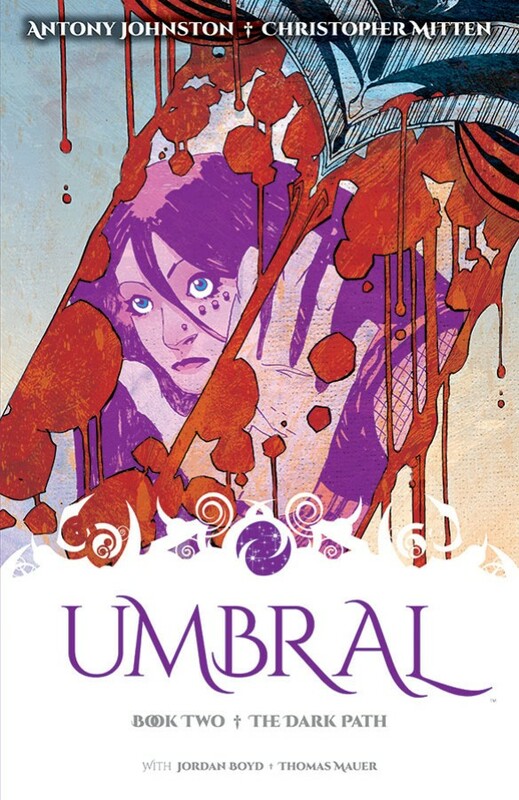 Collects UMBRAL #7-12.